Our team of security experts review the best safes on the market every year, to make sure we always offer our customers the best protection at an unbeatable price. With their expertise, and the feedback we get from our customers, we’ve rounded up the best home safes on the market. Read on to find out what makes these home safes the best choice for protecting your possessions. 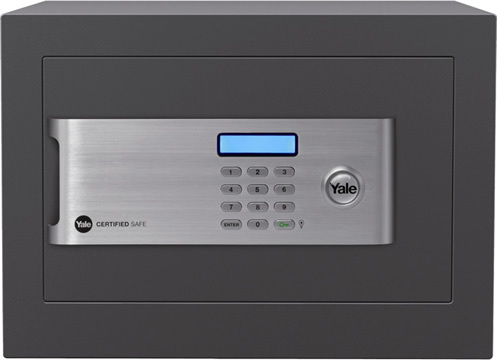 The Yale Certified Home Safe incorporates some really impressive features making this one of our best-selling safes and is highly rated by our customers. As well as offering a good level of security for home use, the safe includes stand out features such as a fully felt lined interior, LED interior light, clear LCD display and smooth automatic door opening which makes operation easy. This safe is designed for burglary protection and the safe keeping of cash and valuables and comes with an insurance rating of £2,000 cash and £20,000 valuables. The safe also includes a silver award in the Sold Secure Accreditation Scheme. This model is also available in 3 larger sizes. Cons: No fire protection, easily carried away if not installed. The Phoenix Dione SS0311e is currently the best laptop safe available. The internal dimensions for this safe are much larger than most other models, meaning a secure storage solution for even the largest of laptops or tablets. There’s also enough space for storing low cost valuables, important documents and a passport. 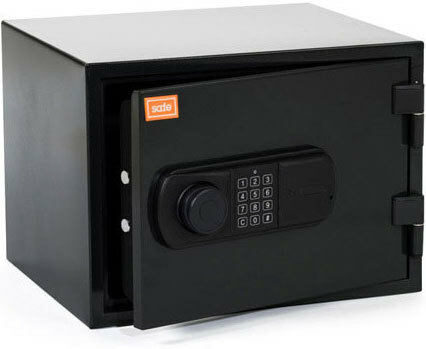 This safe includes a digital keypad which includes a backup key in case you forget the code or the battery runs flat and provides an insurance rating of £1,000 cash and £10,000 valuables. This model is also available in 3 other sizes. The Safe FireStar Small is the best fireproof safe for home use. This safe has been tested and certified to provide 60 minutes fire protection for important documents, providing a safe place for house deeds, wills and birth certificates. In addition, the FireStar safe provides fire protection for digital media such as DVD’s, Memory sticks and external hard drives. The safe is incredibly reliable so we have therefore offered a 10 year warranty on this range, which is far higher than any other safe currently available. The safe includes a battery powered keypad, allowing you to set your own code, and comes with an insurance rating of £2,000 cash and £20,000 valuables. This model is also available in 2 larger sizes. 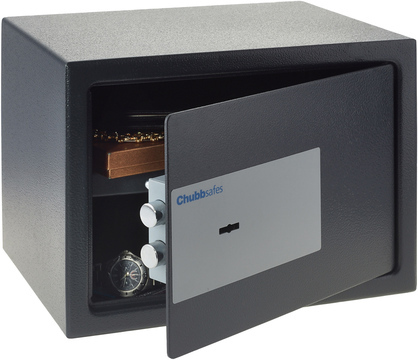 The Chubbsafes Air 15K is our best option if you prefer a manual key locking safe. There’s no code to remember and no need to keep checking the batteries. This model is handy for storing important paperwork, as it fits A4 documents, and also other low value items such as a watch and some cash. This safe can easily be installed as there are fixing holes in both the back and the base of the safe providing more flexibility when choosing a suitable location for your safe. The safe comes supplied with 2 keys but more can be purchased when you place your order. 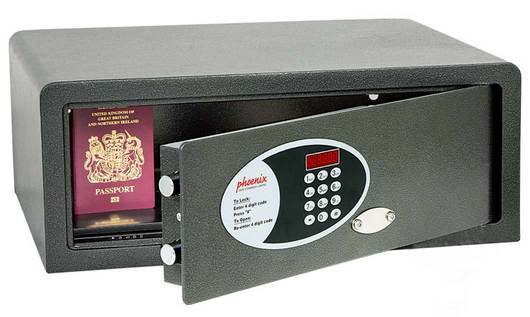 The Air 15k safe by Chubbsafes also comes with an insurance rating of £1,000 cash and £10,000 valuables. 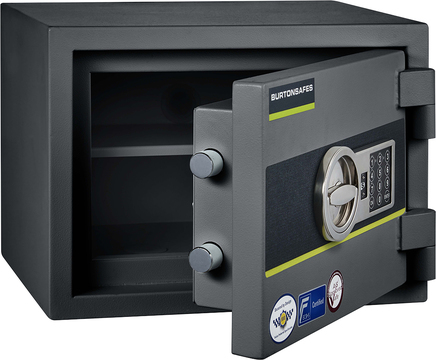 The Burton Eurovault Home Safe Size 1E is the ultimate safe for home use and if you don’t have a tight budget, then this is the one to go for. This safe is approved by the Police and is recommended by insurance companies (AiS approved) for storing cash up to £6,000 and valuables up to £60,000, which is usually plenty of insurance coverage for most homes. With fixing holes in the back and base, installation can be completed to the floor or the wall which is not always the case for similarly graded safes. Locking is provided by a sophisticated 3-way locking bolt system, which includes four extra-large live locking bolts, and is operated by a battery powered digital keypad. This range of safes is also available in 2 larger sizes if you require more storage space.